Tenure-track Assistant or Associate Professor in Educational Leadership Position No. F0111P, at California State University, Sacramento. Earned doctorate in Education or closely related field with emphasis in educational leadership and administration or closely related field. All degree requirements must be completed by August 18, 2019. Major specialization in one or more of the following areas: School and/or district leadership to support social justice, equity, diversity and a culture of success for all children; Leadership and the process of learning/cognition among children and adolescents; organizational development and school improvement; and educational policy, leadership and administration. Work experience and/or research that focuses on leading, teaching, and learning in TK-12 settings. Commitment to serving a culturally and ethnically diverse student body. Screening of applicants begins April 22, 2019. Position open until filled. 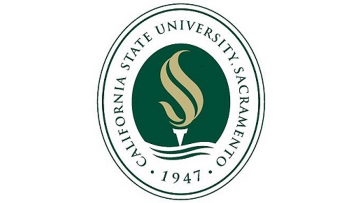 For application procedures, visit our website at https://csus.peopleadmin.com/. Background check (including criminal) required.